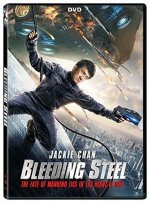 Bleeding Steel release date was Friday, July 6, 2018. This was a Limited in theaters release. In an action-packed drama reminiscent of '80s techno-sci-fi thrillers, Jackie Chan stars as Lin, a police inspector in modern Hong Kong. While tracking down a deranged, mecha-enhanced villain, Lin discovers that a geneticist's lost bio-chemical invention has been surgically implanted into his missing daughter. 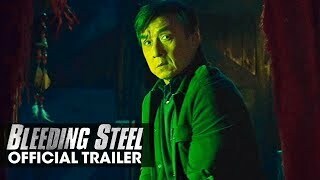 With the help of a young hacker, Lin connects the dots between the device that haunts his daughter, his enemy's sinister army, and a strange cultural phenomenon called "Bleeding Steel."